What Fabrics Are Clothes Dryer Safe? Have you ever quickly dried an item of clothing in the trusty clothes dryer – only to find that you’ve accidentally shrunk it to a size that not even Victoria Beckham could squeeze into? If so, you’re almost certainly not alone with clothes dryers booming in popularity. Around one-quarter of Canstar Blue survey respondents said that they use their clothes dryer to dry clothes, even if they could use the washing line. 39% of shoppers use their new clothes dryer to remove wrinkles from their clothes rather than using an iron – certainly a time-saver! 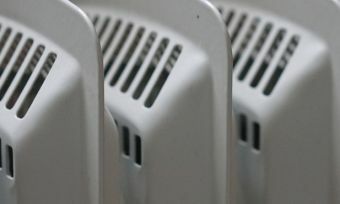 With reasonably high clothes dryer use among those who own one, it’s useful to know what fabrics can go through a clothes dryer (hopefully) without changing shape. Here’s a quick rundown of the more common fabrics – although always remember to check the washing care label of any specific item of clothing! Acrylic is a synthetic fibre made from polymers of acrylic acid. It’s often used for knit-style fabrics that feel a bit like wool. There are plenty of other things made from acrylic including boxes, cylinders and aircraft windows! That’s versatility! Generally, acrylic is shrink-resistant but keep it on a reasonably low heat and take it out just before it’s fully dry. Also, remember that acrylic can build up static – so watch out for little electric shocks when you pull the items out of the dryer! Unlike acrylic above, cotton is a natural fibre that is collected from the cotton plant. It’s then spun and woven, and is widely used in clothing, bedsheets and other manchester. Cotton can potentially shrink in the dryer; the amount of shrinkage can depend on whether the item is pre-shrunk and how loose the weave is. A looser weave can shrink more. It also depends whether the item is 100% cotton or a blend. Use a low heat setting if you need to run your cotton clothing through the dryer. Linen is another natural fibre, this one made from the fibers that grow inside of the stalks of the flax plant. Similarly to cotton, linen is also spun and woven. It’s a beautiful and very breathable fabric – but it also creases very easily! While linen may shrink slightly in the clothes dryer, a potentially bigger problem is the almost-impossible-to-iron-out creases that could end up covering your linen clothing if you over-dry it. Microfibre is a synthetic product and, as the name suggests, contains a very small thread weave. In terms of clothing, microfiber can be used for athletic wear, skirts, jackets – even suits. Generally, it’s safe to put microfiber in the clothes dryer – but use a cool setting. Probably best-known for its use in making women’s stockings, nylon is a synthetic and durable material that is generally safe to put in the dryer. As with acrylic though, it can be prone to static build-up. Another synthetic fibre, polyester is widely used in a range of clothing including shirts, shorts and skirts. You can put polyester through a low heat cycle of your clothes dryer – although being lightweight and quick to dry, chances are you won’t need to. 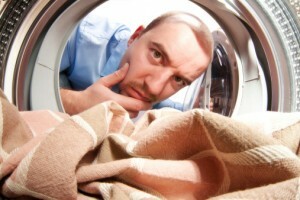 Polyester clothing can often feel dry as soon as it comes out of your washing machine. A beautiful natural fibre, silk is made from the thread of a silkworm and is one of the softest fabrics around. Only some silk can be washed, let alone dried in a clothes dryer. Definitely read the clothing care label carefully – most silk items are far too expensive to risk ruining! Think bathers, gymnastic clothes, 80’s aerobics gear… A synthetic fibre, spandex is known for its elasticity. 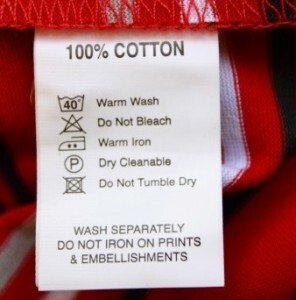 Whether it’s dryer-friendly depends on the amount of spandex in the item of clothing (check the manufacture label). As a rule of thumb, the more spandex your clothing contains, the less suitable it is for the clothes dryer. Wool is a natural fibre usually made from the fleece of a sheep (or goat or alpaca). Chances are, if you put your woollen clothing in the dryer, it will shrink. Even washing in hot water can be enough to shrink your warm wool. Ideally wash wool in cold water and lay flat to dry. As we’ve already said – really it can’t be said enough – always check the washing instructions label on your clothing items before taking the chance. It could save you a lot of money in replacement clothes!